Shiraz (like most of the left) has been remiss in failing to mark the recent passing of the outstanding socialist graphic artist and archivist David King. Here’s an excellent interview published at Mike Dempsey’s Graphic Journey blog; the Graun obituary is here. He identified as a Marxist and a Trotskyist and his images will be immediately recognisable to any leftwing activist who’s read books or attended demos over the past forty years. His style is a mix of forceful sans serif typography, solid planes of vivid colour and emphatic borders; a modern reworking of the graphic language of 1920s Russian Constructivism and the collage of John Heartfield. Who is responsible for the Middle East conflict? And how do we help resolve it? We can do worse than to begin by looking at Labour’s own history. On this day [ie 30 May] in 1944, Labour’s annual conference was taking place in London. A week before D-Day and two weeks before V1s started hitting London, the Allies were making progress through Italy and were bombing targets in France in preparation for the invasion. And amidst all that, Labour delegates were focussed on “The International Post-War Settlement“, on how to build a post-war world. And so, without opposition, Labour’s conference committed itself to not only ethnic cleansing, but to a Greater Israel extending even beyond the boundaries that it currently occupies in 2016. It did so not because it was persuaded by the “Zionist lobby”, not in order to serve British imperial interests (which had been the only objective of the Balfour declaration in 1917), but because of the Holocaust, and the refugee problem that they expected. All Germans left outside the the post-War German frontiers, unless they are willing to become loyal subjects of the state in which they find themselves, claiming no special privileges, should go back to Germany. Indeed they will be well advised to do so in their own interests, for, in the early post-War years at any rate, there will be a depth of hatred against Germans in the occupied countries, which it is impossible for us or for Americans to realise. Germans in many of those areas may have to face the choice between migration and massacre. The organised transfer of population, in the immediate post-War period, may, indeed, be one of the foundations of better international relations in a later phase. Nor would this be a new departure. Between the Wars the transfer of population between Greece and Turkey was an undoubted success. Shocking as it may be to those of us who observe from a safe distance the fall-out from the ethnic cleansing that did in fact take place in 1947 in Palestine and the conflict that followed, it was seen as a relatively “small affair” in the context of the end of World War II. Ethnic cleansing had allegedly been an “undoubted success” in Greece and Turkey in spite of the deaths from epidemics in transit and the resulting poverty and hardship on arrival. Churchill who had promised “that we British will never seek to take vengeance by wholesale mass reprisals against the general body of the German people” – with the backing of Labour’s leaders and conference – agreed with Allied leaders to back the ethnic cleansing of 12-14million Germans across central and eastern Europe after the war. “The largest forced migration in history” was “accomplished largely by state-sponsored violence and terror” including being herded into camps including former Nazi concentration camps like Auschwitz or Theresienstadt, victims being subjected to beatings, rapes of female inmates, gruelling forced labour and starvation diets. Estimates of those who died in transit vary upwards from 500,000 though the German government clings to earlier estimates of 2million. This included those who died of disease or malnutrition which included a high proportion of children and the elderly. What’s more, other minorities were expelled on the back of this forced migration: Hungarians from Romania, Czechoslovakia and Yugoslavia, Romanians by the USSR. And that is on top of the forced repatriation of Soviet POWs. Labour was right to expect massacres from populations that had suffered German brutality under occupation. And the League of Nations and post-World War I treaties had utterly failed to protect ethnic minorities subjected to the racism of right-wing nationalist governments right across central Europe in the new ethno-centered nation states Western leaders had created in the dismemberment of the old empires. On the altar of “self-determination”, Allied leaders had handed multicultural cities and towns across Europe to be ruled by strident ethnic nationalists. By 1944, they didn’t want to make the same mistake again. Not in Europe, and not with the Jews. And so it was they that created Israel. Of the Allied leaders, it is true that both Bevin and Attlee were persuaded by the complexities of managing inter-communal conflict in the Mandate of British Palestine (rather than by Ernie Bevin’s antisemitic prejudices though he had them) to abstain on Israel’s creation. In addition to the pressure of US diplomats on countries like Haiti, Philipines and Liberia, it was the three votes controlled by Stalin (cast on behalf of the USSR, Ukraine and Belarus) which ensured that the two-thirds majority for resolution 181 was achieved. And so what of the role of Zionism? For all the diplomacy and organisation of the World Zionist Organisation for half a century, it was not that which led to the creation of Israel. It was the Holocaust, the plight of the survivors seeking safe refuge, and the guilt of the American, British and other Allied leaders who did not wish to take them in (though many would have been satisfied with that). So they did for the Jews what they were not prepared to do for the Kurds, nor for the Roma. And the Jews, a majority of whom in almost all countries had not supported Zionism prior to the War, rejoiced at the prospect of a safe place to live. And who with the knowledge of their circumstances cannot understand that? And the Palestinians understandably saw and still see the loss of their land as a catastrophe. The Nakba. And who that reflects on their circumstances and what they have experienced since cannot understand that? If there is to be peace, justice, democracy and equality in Israel/Palestine, both of those realities need to be acknowledged. Only truth can bring reconciliation. Sean Matgamna has argued persuasively, here, that anti-Semitism in the Labour Party should generally be dealt with by argument and education, not disciplinary measures. I would, personally, make an exception for Ken Livingstone, whose long record of Jew-baiting is such that he should be expelled. As a comrade commented to me, “I would ask, what is the relevance of Jewish slave-traders in the 17th century to anti-semitism today? I genuinely don’t understand what point Jackie was trying to make. “That may be partly because I haven’t seen the whole conversation the comments were part of, but could someone explain what the point was? The only interpretation I can see is that the role of Jews in slavery somehow mitigates anti-semitism today. If that’s not the point, then what was it? I’d be very happy to have it explained”. The participation of some Jews in the slave trade was, of course, terrible (as anyone’s participation was), but actually relatively minor. Jackie Walker’s ignorant comments (she claims, just about her own family, but quite obviously aimed at Jews as a whole) suggest that Jews played a leading role (as “chief financiers”) in the slave trade, which warrants special mention to this day. This argument is usually based upon the spurious “research” of the US Nation of Islam and/or various neo-Nazis. Anyone who wants the truth about Jews and the slave trade, should read this and this. Today, Yanis Varoufakis, John McDonnell and Caroline Lucas are launching this call to vote In and change Europe. You can add your signature here. We come together from different backgrounds, political parties and movements. We are joining forces to call on people across the UK to rise up, campaign, and vote ‘IN’ to change Europe. The people of Britain will make a historic decision in the referendum on 23rd June, 2016. In the next four weeks, progressives must mobilise to win their hearts. We cannot leave the future of our country in the hands of regressive politicians and vested interests who do not speak for us. This is the first step in a bold campaign to reclaim our democracy – not just here in the UK, but all over Europe. The European Union has built a lasting peace, helped protect our shared environment, created possibilities for protecting the rights of citizens and workers, and established common ground for Europeans to live, study and work together. It suffers from serious flaws – a vacuum of democracy and economic policies which are unleashing a vortex of deflation and depression in several countries, yielding nationalism and xenophobia everywhere. We are faced with a stark choice today. Either we walk away from the European Union and reap the whirlwind – or we join together across parties and borders to build an open, democratic Europe that works in the interests of all its citizens. We know another Europe is possible. It is down to us to work for it. If we leave the EU, who stands to benefit most? The political and financial elites of this country. Be under no illusion that a vote to leave will somehow strengthen British democracy, bring shared prosperity, or strengthen the influence of the majority of Britons over decisions that affect our common future. ‘Brexit’ would strengthen nationalism and xenophobia in Britain and across Europe, sowing conflict, strengthening toxic politics and accelerating an economic crisis that will drag all of us down. Being outside the EU will not insulate us from this fate. We, the undersigned, have joined forces to campaign together for a democratic and progressive IN vote. We are against walking away from Europe, and we are against surrendering to the status quo in Brussels. Our campaign against Brexit is also a campaign to join forces with democrats across Europe to confront the status quo and to democratise the EU. The unity of working people and progressives striving for a sustainable future is the only source of hope for better things to come. And this unity cannot, and should not, end at the British Channel. A Sustainable Europe, leading the way in the green transition to the flourishing economies of the future, and living within the planet’s means. We are united in this call; now we are calling upon all of you to join us. This is your campaign. Let us work together to vote IN on the 23rd June, and to change Britain and Europe for the better! The current controversy over alleged anti-Semitism in the Labour Party comes from a convergence of several different forces: apologists for Israeli, always keen to denounce supporters of Palestinian rights; the Labour right, looking for any stick with which to beat Corbyn and the left; and the Tories and their press supporters, desperate to prevent a Corbynled Labour victory. It is no coincidence that this issue burst into public during an election campaign marked by outright racism and Islamophobia. These attacks are rooted in a continuing campaign to change the meaning of the term anti-Semitism, to include anti-Zionism, or even opposition to Israeli policies and practices. We must be clear on this: anti-Semitism, like all forms of racism, has no place on the left, or in society as a whole. Zionism is itself a racist ideology, and anti-Zionism is a legitimate political position. We should also bear in mind that an increasing number of Jews oppose Zionism and very many Zionists (probably the majority) are actually not Jewish, but fundamentalist Christians. The targets of the current attacks (some of whom are themselves Jews) are not antisemites. Some of them may have been guilty of clumsy phrasing or thoughtless responses; but they are not anti-Jewish racists. Most of the attacks are based on comments on social media, some dating back years; it is evident that there has been a systematic trawl through people’s previous activities. We must resist this. We call for free speech on Israel, and an end to the witch-hunt. We oppose racism, whether directed at Jews, at Muslims, or at any other community. And we stand firmly alongside the Palestinian people in their struggle for liberation and justice. So there we have it: according to Socialist Resistance, antisemitism “has no place on the left” and, indeed, as proof of that statement, it simply does not exist on the left! All allegations of antisemitism come from “apologists for Israeli … the Labour right … and the Tories”. 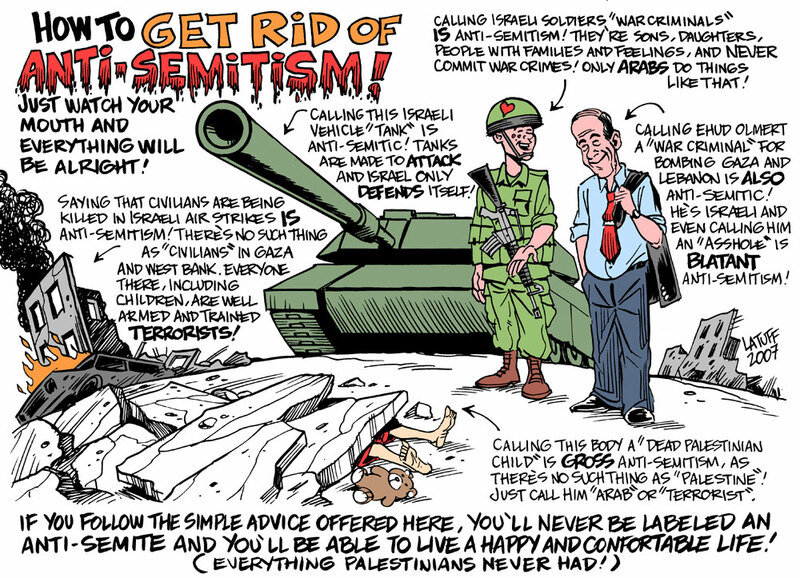 None of the individuals recently accused of antisemitism are guilty, and anti-Zionism cannot ever be antisemitic. As a result of these false allegations, free speech itself is now at stake! * in fairness to Roland Rance, I note that the wording of the leaflet seems to be loosely based upon a much longer and more nuanced article by him on the Socialist Resistance website, that does very reluctantly admit that in one or two isolated and extreme cases antisemites have “infiltrated” the left and the pro-Palestinian movement. It’s a politically weak and evasive article, but nowhere near as bad as the appalling drivel put out under his name, by his comrades in Birmingham. Junior doctors: is the deal a sell-out? During the past year we have learnt an incredible amount. From how to organise a picket and dealing with the media, to contract law and equality impact assessments. On Wednesday (last week) we were taught a lesson by the Government. A lesson on media management. The power of the Government to define a story in its own terms. When the news of the deal broke and we were faced with an onslaught of media and press reaction. ‘The war is over,’ ‘the deal is done,’ ‘BMA agrees terms with NHS Employers.’ It left a lot of Junior Doctors scratching their heads. Is it? Have we just lost? The appearance of Jeremy Hunt on the national news did nothing to reassure us. His usual mix of factual inaccuracies and scorn for Health Professionals driving many into a frenzy. 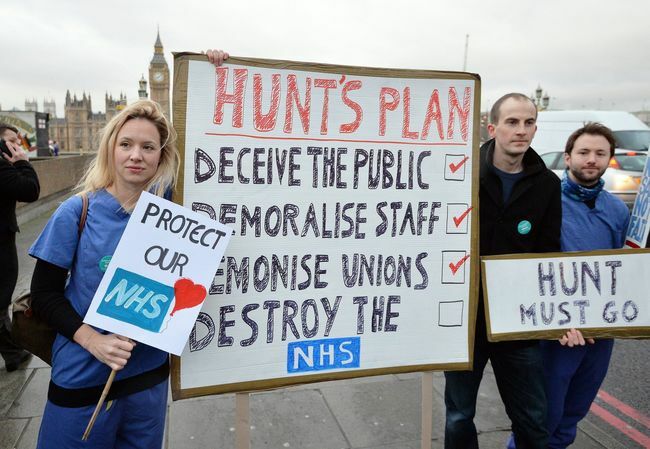 How could the BMA have done a deal with this man, and how could any deal be any good with the claims Hunt has made? But if you look beyond the spin, the picture is a lot less clear cut, and there are parts of the deal which are very good for Junior Doctors, and directly oppose Hunt’s narrative on the contract. There are bits of the contract which quite frankly are not good enough and will the apparent return to a position of a cost neutral contract leave Junior Doctors open to more attacks down the line? There is a lot for Junior Doctors to consider, and there is much to discuss as we plan the way forward. Industrial action and tough negotiation has won us concessions from the government that I did not believe were possible. The Junior Doctors Committee will meet on the 3rd June prior to the referendum of all Junior Doctors (and penultimate and final year medical students) to articulate a way forward. Currently junior doctors receive a pay uplift for unsociable hours (called banding.) The new contract splits this pot of money into sections. A pay premium for hours worked at night, retains a banding for Non-Resident on-call (NROC) and introduces a graded banding for weekend work. This graded banding, based on the number of weekends worked is vital for Junior Doctors. It means there will be an escalating cost to increased weekend working, putting trusts off from rostering more doctors at weekends. Because it is a banding system it applies to the entire weekend. The risk of a junior doctor being asked to work repeated Saturdays as plain time has gone. Junior Doctors have got what they wanted, a financial disincentive to routine weekend working, and Jeremy Hunt is left trying to spin a defeat into victory. When we look back at this contract negotiation I believe this will be seen as the biggest mistake made by the government. Late last year the Junior Doctors Committee stated that it wanted pay for all work done. A reasonable request. The previous version of the contract honoured this on paper, but not in practice by stating that if a Junior Doctor could predict the hours they were going to be overworked they could request to be paid for these hours. Any junior doctor could tell you this was a joke, and would never work in practice. The ACAS agreement states that we will now be able to claim for these hours before, during or after the period of extra work. This means the system will now be able to cope with the realities of the work. Doctors will be able to ask for this time to be added to annual leave or claim it back as pay if there is no space in the rota for them to take the leave. This will be overseen by the Guardian. This newly created role with have oversight over a number of aspects of safety, rotas and exception reporting. The mechanism of reporting overworking. This was rightly described as a weak point in the previous contract. But it has been beefed up, and crucially will now be under scrutiny by Junior Doctors. Unfortunately it is here that the ACAS document doesn’t stand up so well to scrutiny. The March contract offer was rightly attacked for its discrimination towards women, lone carers and the disabled. While this contract makes some moves in the right direction, many of these are of speculative benefit. The reality of the loss of annual pay progression is a less equal contract. A week point of the new contract is also evening working. Particularly important for carers. The governments desire for the political victory will currently see this contract implemented before much of the work around rotas, equality issues or safety has been completed. Not a good starting point for a complicated, divisive new contract. Jeremy Hunt argues this contract is ‘cost neutral.’ What he means by this is that compared to October 2015, this new contract would not cost any more than our current contract. Therefore if we were to transport ourselves back to October 2015 and put all Junior Doctors on the new contract the pay envelope would be the same. Nobody believes this contract is cost neutral. An accurate estimate of the extra work done by Junior Doctors is difficult, but there is clearly a lot of it. If we start paying out for that cost neutrality is blown out the window. But by saying it, and if Junior Doctors do not oppose it, it gives the Secretary of State political leverage for further cuts. In a years time when the pay bill has grown due to the NHS actually paying doctors for the work they do how will the government respond. In order to keep the pay bill cost neutral will it cut doctor numbers? Will it ask hospitals to cut services? Will it try and close whole wards or hospitals? Junior Doctors have put themselves in an incredibly powerful position. We should not lose faith in our collective power now. Baring any surprises in the terms and conditions released on or before the 31st May I will be voting ‘no’. Norbert Hofer of the far-right Freedom Party (FPO) has come terrifying close to winning the Austrian presidential election. The FRO is still on track to finish first in the next Austrian parliamentary election, due within the next two years. The FPO has Nazi origins and like the French Front National and right wing populist parties that are coming to the fore throughout Europe, it is viciously anti-immigrant, with a particular hostility towards Muslims. In Hungary, Poland, Finland and Switzerland these parties are already participating in national governments. They are all, of course, anti-EU. Marine La Pen’s Front National could well win next year’s French presidential elections. How long would it be before these new and resurgent right wing movements tear the EU apart? Do you really want the break-up of the EU at the hands of these forces? Do you really think anything progressive could possibly come of such an outcome? Presumably, as self-proclaimed internationalists, you do not merely favour the UK pulling out: you must, logically, favour the break-up of the EU in its entirety. Have you given any serious thought to what this would mean? The freedom for workers to move across Europe would be lost. ‘Foreign’ workers in each country from other ex-EU states would face increased hostility and racism. Any possibility of a humane and fair resolution of the migrant crisis would be completely ruled out, as each European country competed with each other to increase border controls and deport migrants even more ruthlessly than they mare doing now. There would be a big reduction in the productive capacities of the separate states, cut of from broader economic arenas. Governments and employers in each state would be weaker in capitalist world-market competition, and would thus be pushed towards crude cost-cutting. In the same way that small capitalist businesses, more fragile in competition, use cruder cost-cutting than bigger employers. The limited, but real, workers’ right brought in by the EU would be swept aside. There would be more slumps and depression, in the same way that the raising of economic barriers between states in the 1930s exacerbated the slump then. Inevitably, economic tensions between the different nations competing elbow-to-elbow in Europe’s narrow cockpit would lead to increased tensions and, eventually, war – as happened in Europe for centuries and twice in the last century. Austria’s close-run presidential vote reveals people are disappointed with the mainstream parties and don’t feel represented any longer, while the refugee crisis, the euro crisis, Islamist terror attacks and dissatisfaction with the EU have also caused a shift to the right in Austria and throughout Europe. But the answer is to put forward internationalist, pro-working class, anti-austerity policies across Europe, not to attempt to jump on the nationalist, racist anti-EU bandwagon of the far-right. In the weeks that followed Hitler’s seizure of power in February 1933 the German Communist Party (KPD) and the Communist International clung rigidly to their view that the Nazi triumph would be brief and that it would be a case of “after Hitler – our turn”: is that what you #Lexit people really expect to happen after the far-right succeeds in breaking up the EU? If so, you are not just politically illiterate: you are criminally irresponsible. Ken Loach has won the Palme d’Or at Cannes for I, Daniel Blake. Le Monde’s review noted that ‘welfare reform’ forms the heart of the film. That in the UK there is a veritable ‘crusade’ against the disabled, to root out those feigning illness (“la chasse aux tire-au-flanc a pris les allures d’une croisade) in a “néo-victorienne” Britain. Moi, Daniel Blake n’est pas une satire d’un système absurde. Ken Loach n’est pas un humoriste, c’est un homme en colère, et le parcours de l’ouvrier privé de travail et de ressources est filmé avec une rage d’autant plus impatiente qu’elle est impuissante. I, Daniel Blake, is not a satire about an absurd system. Ken Loach is not a humourist, he’s full of anger, and the progress a worker without a job, and without assets, is filmed with an indignation that is as exasperated as it is impotent. This Blog is not an uncritical admirer of Ken Loach. He is against austerity and for social rights, the cause of the left. But his more specific politics, which include a lengthy membership of Respect and support for the cultural Boycott of Israel, as well as no known activity against Islamist genociders, or support for the Kurdish people in their fight for dear life against ISIS, are not always the same as ours. Nor are all of Loach’s films, for all of their skill and intensity, always as deep as they set out to be. (Read Coatesy’s full article here). In the light of this well-deserved award to an avowedly Marxist film-maker, now seems a good moment to republish Clive Bradley’s insightful article. As the piece was written in 1997, it doesn’t deal with Loach’s more recent work, but nevertheless raises important issues about the difficulties of reconciling ‘art’ and ‘propaganda’, and the extent to which Loach succeeds (and fails) in doing this, by examining three of his films. 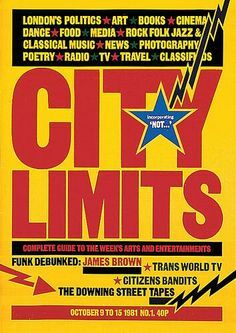 The author stated at the outset: “throughout this article, I am using the word “propaganda” in its neutral sense, to mean politically educative material”. What does it mean to make socialist films in contemporary Britain? What is the relationship between art and propaganda in modern cinema? The work of Ken Loach, one of Britain’s leading film-makers, hinges around these questions. The tension between art and propaganda, drama and politics, runs through his films. Loach is unusual not so much in that he is a socialist — indeed a Marxist, indeed some kind of Trotskyist — who makes films; there have been a fair number of film-makers who are or were Marxists of some description. He is unusual because he frequently attempts, to make films about politics with a capital ‘P’, to put the class struggle on the screen. His politics inform his choice of subject matter to a degree which is. as far as 1 am aware, unique in contemporary film. Loach made Iris name in the 1960s with a seminal TV drama, Cathy Come Home, about homelessness. Days of Hope, a TV series written by Jim Allen, traced the British class struggle from the First World War to the General Strike. Fatherland is about an East German who moves to the West and discovers capitalism is as bad as Stalinism, Hidden Agenda about the shoot-to-kill policy in Northern Ireland, Land and Freedom the Spanish Civil War, and the recently-released Carla’s Song is about Nicaragua. Even his films which deal with less ‘big’ political issues have political themes. Riff Raff is about a group of building workers. Raining Stones about two unemployed men in the north of England struggling to survive; one of them needs the money to buy his daughter a communion dress, and gets into trouble with a loan shark. Ladybird, Ladybird is about a woman’s fight against social services to keep custody of her children. Added to this are a number of documentaries, for example on the often treacherous role of the trade union leadership, and the current Liverpool dockers’ strike. There have been very few films in recent years which deal with such issues, and no film-makers who try to do so with such consistency. There can be no doubt, therefore, that Loach is a vitally important director for socialists. We should be glad someone is making such films: the world would be a poorer place without them. The question remains whether Loach has successfully resolved the tension between art and propaganda, and what his work might tell us more generally about it. I want to argue that he has not, and that this raises an interesting question for any project of socialist film-making. Put bluntly: is such a thing possible? The veteran Jew-baiter Ken Livingstone says his claim that Hitler “supported Zionism” before he “went mad” is supported by the books of “historian” Lenni Brenner. In fact, Livingstone’s misunderstood what Brenner actually wrote (though that was bad enough in the first place). Anyway, we seemed destined to hear a lot more about the dodgy self-proclaimed “Trotskyist” Brenner, who’s been promoted by the now defunct anti-Semitic Workers Revolutionary Party (with whom Livingstone was closely associated) as well as the SWP and its spin-off Counterfire. DENIAL of the holocaust has become the stock-in-trade of the far right in Europe and the USA, from Richard ‘Harwood’ ‘s Did Six Million Really Die? to Arthur Butz‘s The Hoax of the Twentieth Century. That pro-Nazis should seek to excuse their heroes of one of the greatest crimes in history can hardly be surprising. What is remarkable, however, is the recent emergence of a “left wing” version of holocaust revisionism. At the most extreme, a French Trotskyist defends Robert Faurisson‘s right to deny the existence of gas chambers and extermination camps. More often, though, the “left” revisionists do not deny that the holocaust happened: they merely argue for a redistribution of responsibility for the tragedy. They suggest that the Nazis were not solely to blame for the disaster that befell the Jewish people. Zionism, too must share the guilt. Now, in fact, various Zionist leaders did calculate that anti-semites would for their own reasons collaborate with them. They understood that there was logical common ground Zionism and anti-semitism — old-fashioned, central-European, pre-Nazi Christian anti-Semitism — in that both rejected assimilation. Zionism was generated by anti-Semitism. Then once embarked on their project of removing the Jews to Palestine, out of the reach of the anti-semites, the Zionist leaders made hard-headed calculations and assessments of the world they lived in, seeking to find ways of realising their programme. Thus Zionist leaders had discussions with ministers of the viciously anti-Semitic Tzarist government, with Von Plehve, for example. In the same way the Zionists have allied in succession with Turkish, British and then US imperialism. Brutal realism and cynical real-politik in the service of their central goal of creating the Jewish state has always characterised the central leadership of the Zionist movement. It has led to shameful episodes and unsavoury contacts. But to go on from this tragic confusion to identify Zionism and anti-Semitism, to place the moral or political responsibility — or any share of it — on the Zionist Jews, for Hitler’s holocaust of European Jewery — that is hysterically and obscenely stupid. Yet that is what the new revisionism — at its sharpest when it stops playing with hollow, abstract logical identification between Zionism and anti-Semitism and bases itself on the historical facts — concludes and now proclaims to the world. 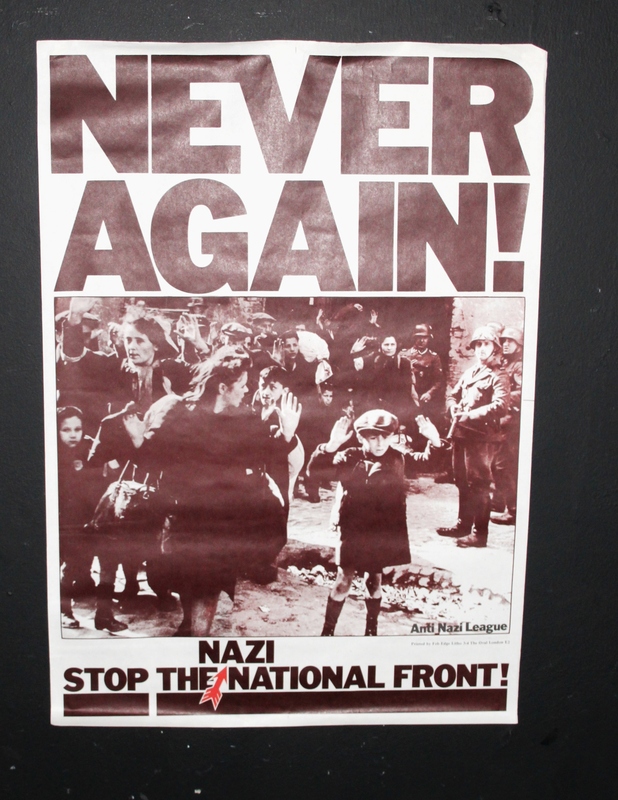 It is important to recognise that whilst holocaust revisionism is absolutely central to the ideology of the far right, “left” revisionism remains — so far — a marginal and aberrant belief within the socialist movement. Until now it has been propagated only by scattered articles in the “Workers Revolutionary Party” press, or by quaintly-titled pamphlets such as Tony Greenstein’s ‘Zionism: Anti-Semitism’s Twin in Jewish Garb’. Until now it has looked like the work of cranks. Until now. Lenni Brenner, “left” revisionism’s newest recruit is a Jew, whose books have all the appearance of serious works of history and are published (expensively) by commercial publishers. Both the books [ie: The Iron Wall and Zionism In The Age of Dictators – JD] argue, with apparent authority, that Zionists did not fight back against anti-Semitism because they were in sympathy with it. According to Brenner, the Zionists saw anti-semites as nationalists like themselves, with a common objective in the removal of the Jews from Europe and a similar evaluation of the intrinsic worth of diaspora Jewry. Where does one begin to review work like this? The revisionists of the right have shown how easy it to contest and even subvert what had seemed unassailable historical facts. For, of course, very little history can survive scepticism of this kind, based on the rejection of any evidence one does not like. Now Brenner does not, by and large, engage in this kind of revisionism. Brenner’s unique contribution to historical revisionism lies in the sense he makes of events. Most of the events he refers to are real and publicly known. They have been described before by pro-Zionist writers, notably Hannah Arendt in Eichman in Jerusalem (this is not to say that a sizeable catalogue of inaccuracies and contradictions within the Brenner corpus could not be assembled — but such an exercise would miss the point). Brenner’s “theory” of Zionist-Nazi congruence rests upon two sets of phenomena: the actions of individual collaborators who were Zionists, and the policies of Zionist organisations which, for him, were lacking in anti-Nazi resolution. With the benefit of hindsight it is, of course, easy to see that many Zionists underestimated the Nazis. They thought the new anti-Semitism would be like the old: brutal, humiliating and dangerous for individual Jews. They could not and did not conceive of the annihilation that was to come. Thus, their strategy was based on a series of assumptions about the immediate prospects for Europe’s Jews which were horribly wrong. To move from this tragic confusion, however, to the suggestion that the Zionists were unconcerned about the fate of the European Jews is absurd. To argue that they were therefore in sympathy with the Nazis is bizarre. It would be foolish to deny that there were Zionists who collaborated. So, no doubt, did some Communists, Bundists and liberals. In the nightmare world of Nazi Europe many people did bad things to save their own lives or the lives of those they loved. For Brenner, though, these individual acts of collaboration are expressions of the inner logic of Zionism. Individual or collective acts of anti-racist resistance by Zionists, on the other hand, are dismissed as merely historical accidents, exceptions that in some unexplained way, prove the rule. It would be trivially easy to write a similar account of the “inner logic” of capitalist democracy, or of Marxism, which proved to this standard their affinity with Nazism. Such accounts have little to do with serious history. ” … the old Jewish slums were notoriously filthy: ‘Two Jews and one cheese make three smells’ was an old Polish proverb. Karl Marx was only being matter-of-fact when he remarked that ‘The Jews of Poland are the smeariest of all races’ ” (ibid p. 11). For a self-proclaimed socialist to repeat anti-semitic Polish proverbs as matters of fact is simply incredible. Such remarks are frequent in Brenner and range from the paranoid: the suggestion that rich Jews control the US Democratic Party and thus American foreign policy — to the merely unpleasant — Agutal Israel demanding from the Likud “their pound of flesh” (p. 207) as the price for parliamentary supplrt. There is, then, a curious ambivalence in Brenner’s writing. He censures Zionism for despising Jews and on the other hand he clearly despises them himself. Similarly, he characterises the Zionist-Revisionists as near-fascists, and cites quotes from anti-Revisionist Zionists to establish this. But he also argues that the Revisionists were the most authentic Zionists, closest to the inner logic of the movement. Therefore, the opposition of the Labour Zionists to Revisionism, of which good use is made in proving the latter to be reactionaries, is then dismissed as either bad faith or false consciousness. Either Labour’s disagreements with Jabotinsky’s followers were entirely tactical, a contest over who should control the colonialist venture — or the left simply did not appreciate, as Brenner can appreciate, that they were really just logical Zionist-Revisionists. 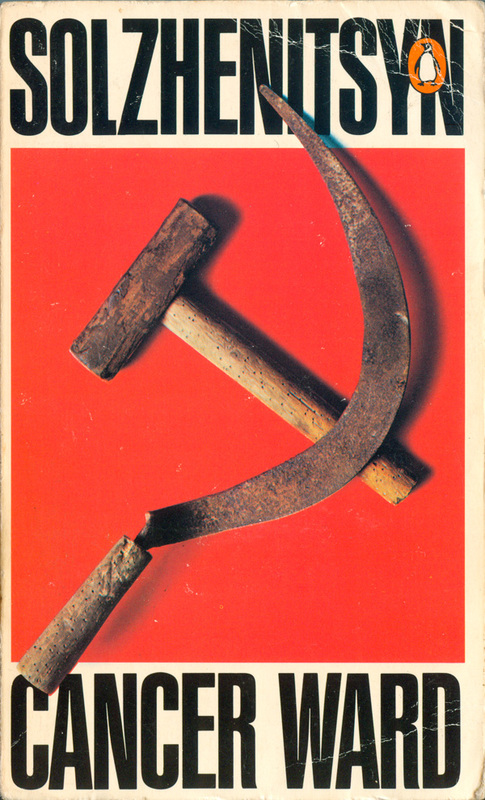 For a Marxist, Brenner places enormous weight on his own ability to critically examine other people’s psyches across the years (this ability is not restricted to the minds of Labour Zionists: Brenner also ‘shows’ that Betar was Fascist by reference to the mental states of a hypothetical “average Betari” (ZAD, p. 114). ” … there was nothing ambiguous about Jabotinsky’s oral fixation … he hated mathematics and was always undisciplined as a student: the infallible signs of oral fixation … He had other stigmata of the fixation … he became hopelessly addicted to detective stories and westerns” (Iron Wall, p.6). This is the sort of thing that gets psychoanalysis a bad name. 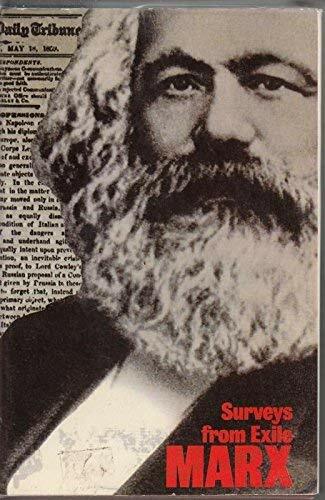 It reveals, too, that underneath the glossy covers Brenner’s work is every bit as crankish as former attempts to construct a “socialist” version of historical revisionism. “The anti-Zionist urged the Jews to trust their gentile environment, to help the ‘progressive forces’ in that environment … and so hope that those forces would effectively defend the Jews against anti-Semitism … The Zionists, on the other hand dwelt on the deepseated hatred of non-Jews and urged the Jews to trust their future to nobody except their own state. In this controversy Zionism has scored a terrible victory, one which it could neither wish nor expect” (The Non-Jewish Jew, p. 91). Brenner, like most socialists, wishes that this victory had not happened. But instead of thinking seriously about what kind of socialist strategy could win the Jews away from Zionism, he constructs a fantasy-world in which Zionists did wish for and expect the holocaust, and in which the most fanatical Jewish nationalists were, in reality, ardent anti-semites. All of this would undoubtedly be an interesting case study for psychoanalysts. Marxists would be better off by turning to Nathan Weinstock’s Zionism: False Messiah.